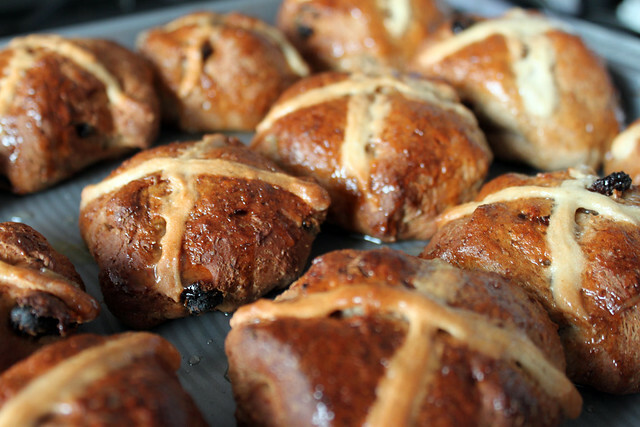 Back in May 2010 I made wholewheat hot cross buns and I got a pretty good reception on them. It’s not exactly the right time of year for Hot Cross Buns but I gave them another go, but then breads and sultanas never really go out of season! So how can I claim these are healthier than my wholewheat 2010 buns? Well this time I substituted coconut oil for butter, low fat coconut milk for milk and Light At Heart sugar for, uhm, sugar. 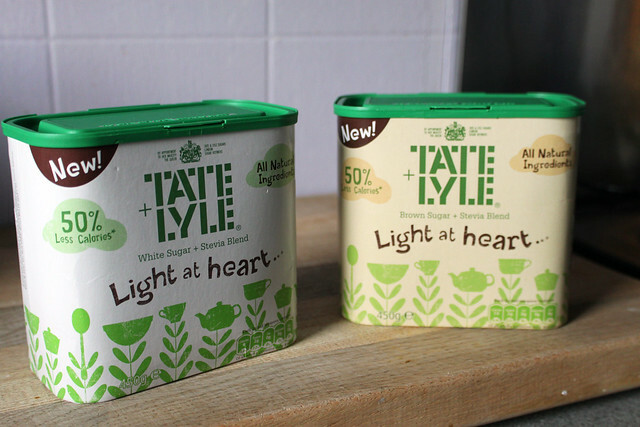 I guess I should be up front about it – I was given Light At Heart sugar for free by Tate and Lyle, however I had been hearing about stevia based products for years and been dying to try them. Unfortunately until December 2011 they weren’t allowed to be sold in Europe! The good thing about Stevia based sugar is that it’s half the calories of normal sugar but it’s all natural. (i.e. Not weird Splenda type stuff that was invented in a lab). It’s a long time till Good Friday, but these are too good to wait for! I have a special love of fruit bread, especially those spiced with cinnamon, so hot cross buns have always been a favourite of mine. The supermarkets have been selling Hot Cross Buns since after Valentines Day, but I am yet to buy a single one. I made a promise to try to make more things myself. At Christmas I refused to buy mince pies and instead made my own – and I would never buy them again now. 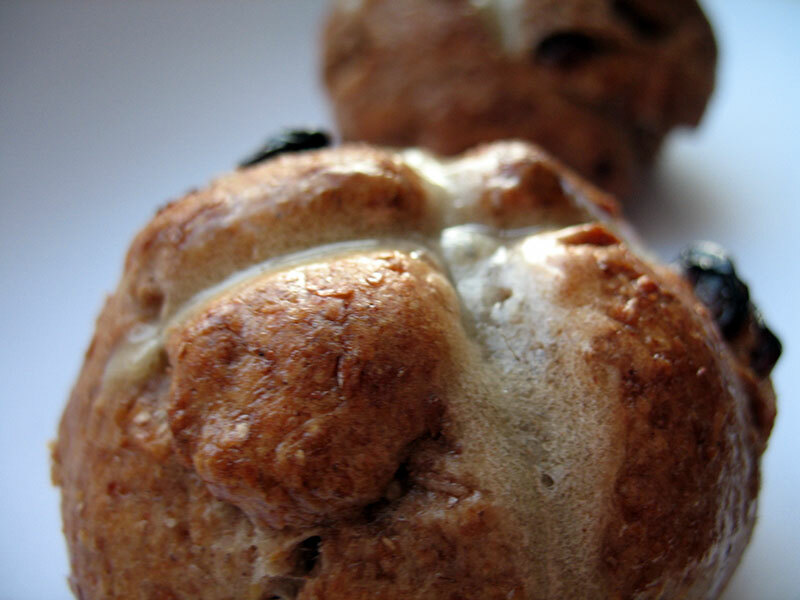 Why should it be any different for Hot Cross Buns?